Right now you might be wondering what makes a hypercar different from a supercar. Well, we don’t know exactly but our gut tells us it’s one of two things: an engine making over 1,000 horsepower or a top speed much higher than 200 mph. Yeah, that sounds about right. Here now are our picks for the five best hypercars shown at the 2016 Geneva Motor Show. In a world soon to be full of self-driving electric econoboxes it’s nice to know that some automakers still have an insane need for speed. The first car on this list is the Apollo Arrow. The boutique supercar company came to Geneva looking to make a comeback of sorts in the crowded world of hypercars. The Arrow looks simply stunning, although that massive front lip splitter may make speed bumps impossible to navigate. It weighs just 2,866 pounds and has a 4.0-liter twin-turbo V8 making 986 horsepower and 737 lb-ft of torque. Yeah, that’s 14 horses short of 1,000 but the Arrow’s top speed is a blistering 223 mph. Zenvo is most famous for giving Jeremy Clarkson a car to test that first broke down and then caught fire. A performance like that is hard to forget, but the TS1 . Power comes courtesy of a twin-supercharged flat-plane crank 5.9-liter V8. Zenvo says its power output is “incredible” and that 233 mph is its electronically limited top speed. All that incredible power goes to the rear wheels with two seven-speed transmissions of offer. The Zenvo TS1 sounds like a gearhead’s dream come true. Hopefully its fire problems are in the past. Don’t be fooled into thinking the Chiron is simply an upgraded Veyron. 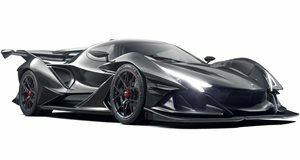 Every aspect of the 1,500-hp hypercar’s predecessor has been put under the microscope, and reengineered “to make the best, better.” And there is plenty more to come. The 260-mph top speed for example is just for starters, and future iterations will be setting new top speed world records for fun. As Bugatti president told us in Geneva, if the Veyron was beauty and the beast, then the Chiron is a beauty with a lot more beast. Rest assured, the Chiron is a stunning creation, truly a rolling work of art. We can’t wait to see it’s beastly side roar into life. Underneath all of the carbon fiber of the Arash AF10 sits…even more carbon fiber, a 13-piece tub. Powering all of this lightweight material are four electric motors, each good for nearly 295 horsepower apiece. There’s also a 3.2-liter V8 engine making 900 horses because why the hell not? Add it all up and that’s 2,080 horsepower, with torque checking in at 1,682 lb-ft. The AF10 doesn’t come cheap with a starting price tag of $1.6 million. As far as price and performance go that puts it in the ’s territory. Still, Arash in terms of rarity and looks. Yeah, we said it. 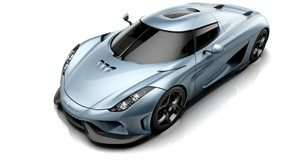 Every automaker on this list should aspire to be Koenigsegg one day. The Swedish hypercar house has survived in a world full of high-volume SUVs and hybrids because its cars command as much attention on the track as they do the show floor. The new Regera . 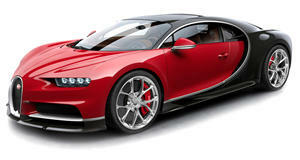 It can hit 186 mph in about eight seconds and weighs in at just 3,505 pounds. There’s 1500 horsepower on tap from a turbocharged V8 and electric motor and this thing looks, well it looks simply breathtaking.